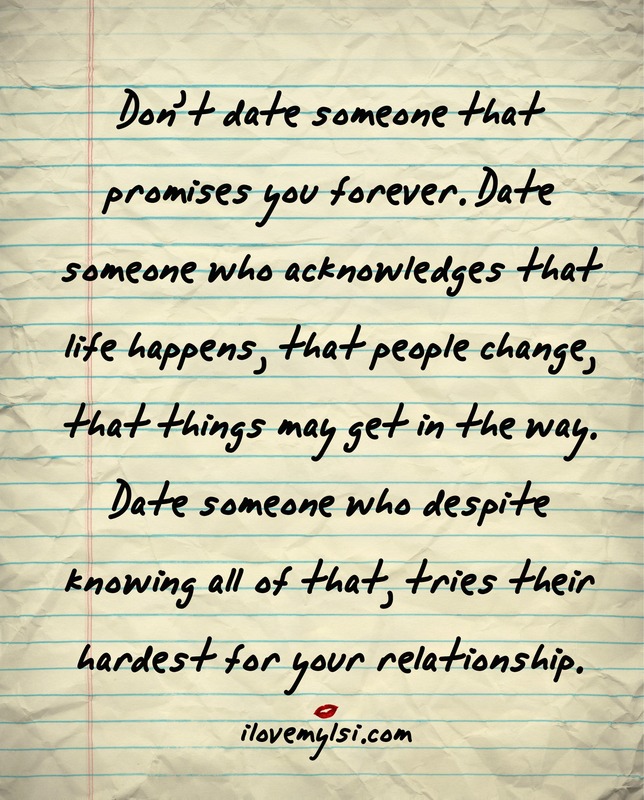 Don’t date someone that promises you forever. Don’t date someone that promises you forever. Date someone who acknowledges that life happens, that people change, that things may get in the way. Date someone who despite all of that, tries their hardest for your relationship.